You ever have one of those nights? You know, the type that simply blindsides you with panic? That was me, earlier tonight when I went to add a Google Calendar Widget here on the blogside. Boom! There goes all of the text from The Tavern's posts! I could still edit the posts, and they still showed on mobile, but somehow the blog template I used dropped the html that embedded the actual blog posts. I panicked for a bit, then played around and used a new template and lo and behold, the posts were back - and the layout was buggered. I've spent the rest of the night cleaning things up. 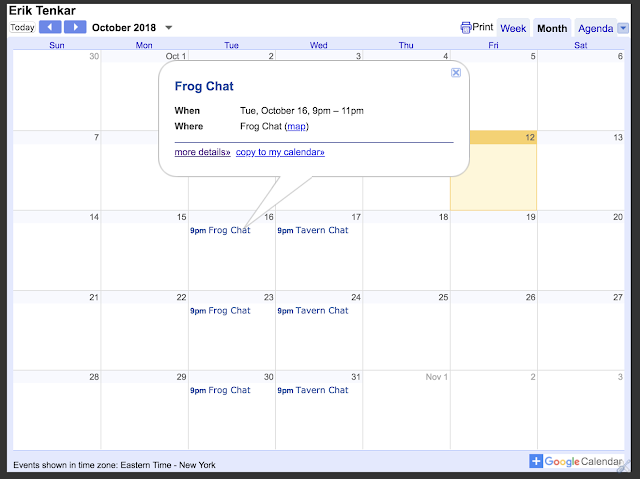 In any case, we now have a Google Calendar at the bottom of the blog page. It seemed needed, as we've added a second night of hosted voice chat on The Tavern's Discord Server - Frog Chat, 9PM Eastern on Tuesday Nights. 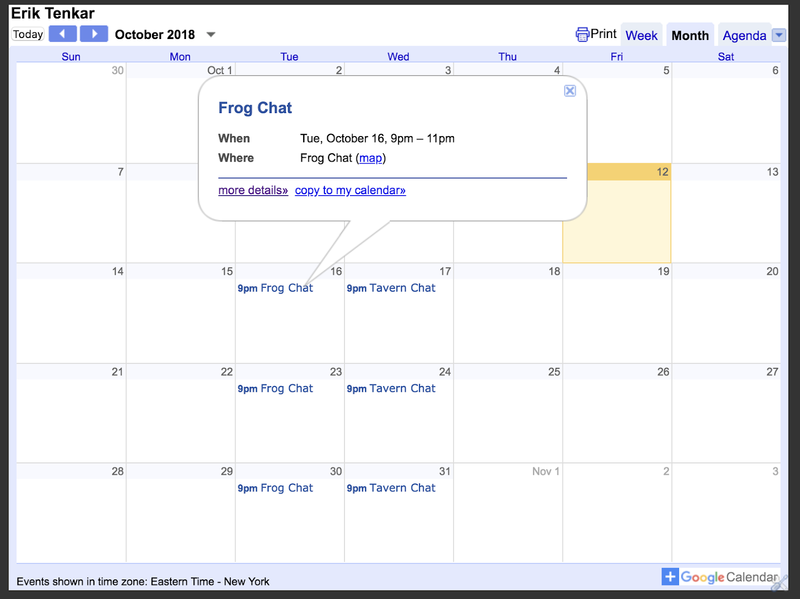 Believe it or not, we are working on adding two or more regular weekly hosted chats (more on that later) and I simply felt that a Calendar of Tavern related events was useful. Note to self: Never attempt adding a calendar to Venger's old school gaming blog!